We work Magic on your Marble! NO need to Replace it . . . We will Restore it! We Restore the Natural Luster of Your Stone, Tile and Grout! NO Mess or Dust left behind EVER! Offering over 40 years experience . . .
Aldayna Stone Care & Maintenance specializes in polishing, sealing, maintenance, restoration and repair of natural stone materials such as marble, travertine, limestone, granite, slate, flagstone and concrete on floors and countertop surfaces. Our work is tailored to our customer needs, and we do exterior & interior work in both residential and commercial areas. We service floors, walls, countertops, kitchens, bathrooms, etc. Our loyal customers have referred our services to family & friends. Our marble restoration services includes polishing, sealing and honing all types of marble countertops, flooring, and showers. We restore all marble surfaces to their original color and vibrancy. Aldayna marble technicians are experts in all phases of marble restoration and maintenance with over years of revitalizing many homes and offices in New Jersey. We are here for all your natural stone restoration, repair, and maintenance needs. 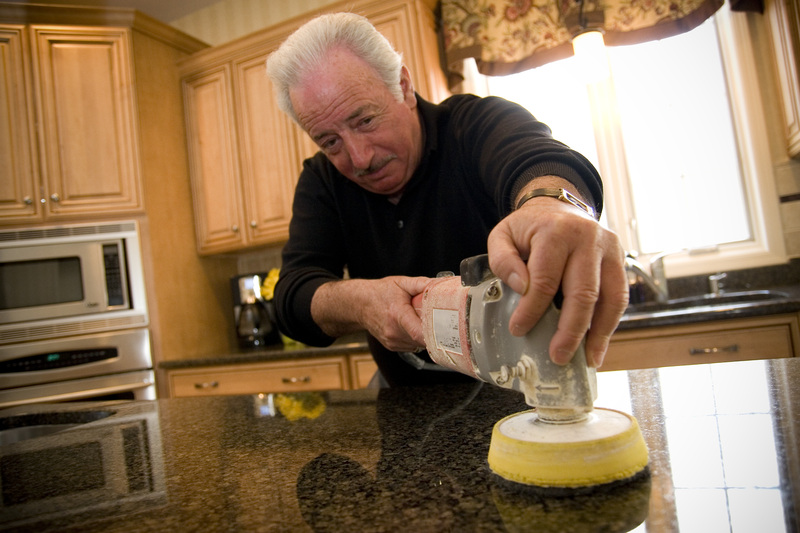 We specialize in marble polishing, travertine cleaning, granite sealing, limestone buffing, granite countertop crack repair, floor maintenance and repair of other stone surfaces like: slate, flagstone, terrazzo & concrete.